As I climbed the steps to Boatyard Brewing Company I stopped to admire the building. Boat bumpers hung from the deck’s posts and fishing net was woven around the step’s banister. A lone bulb illuminated the Boatyard insignia above the door. A light drizzle pattered down onto the wooden deck, the atmosphere and decorations were so spot on that for a moment I pictured myself standing in front of some blue collar Alaskan fishing dive rather than in the heart of Michigan. Small but cozy the brewery’s taproom contained a few humble tables and chairs while the far wall was occupied by taps and a short bar. As I stepped through the threshold I could see the nautical theme continued inside. 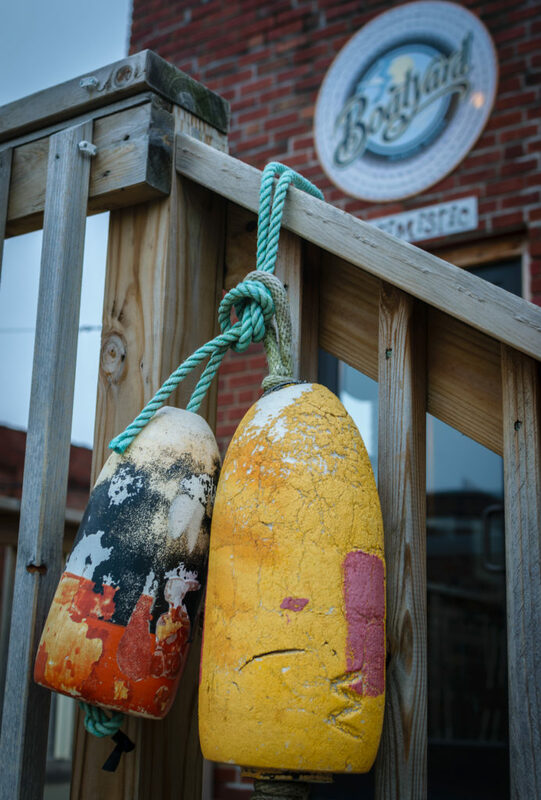 Driftwood signs, model ships, fishing paraphernalia, and maritime flags all lined the walls and shelves. The polished bar was adorned with gulls, swallows, and the brewery’s logo, all artfully wood burned into the glossy surface. “How’re you doing today?” the man at the bar dropped a coaster down in front of me. I mentioned the weather, the cold drizzle that hadn’t let up since I arrived in Kalamazoo. He laughed, “This is warm, shoulda been here last week.” he pulled out his cell phone and after fiddling for a moment handed it to me. It was a photo of him in the Boatyard parking lot, the one I had just walked through, but totally transformed. Piles of snow were heaped around its edges, the asphalt, icy and salted. Inside of a giant igloo he sat smiling behind a bar made of snow. Little niches and shelves carved out of its sides to store bottles of beer. There seemed no better way to take advantage of a Michigan winter. Shaking my hand he introduced himself as Dan Gilligan, Boatyard’s co-founder and proprietor. An electrician and carpenter by trade he literally had a hand in building every aspect of the brewery and taproom. Asking him for some recommendations he plopped some beer down in front of me. Just A Shot Away, a bourbon barrel aged Scottish ale was the perfect compliment to a cold rainy day. Dark and heavy the initial bite of the bourbon was balanced well with sweetness that lended itself to the ale being brewed with brown sugar and vanilla. On the other end of the spectrum Blonde Horizon is a beer perfect for when the sun comes out. Light and refreshing, Palisades hops and Irish ale yeast create a well rounded blonde with a bunch of flavor from blended rye and caramel crystal malts. “Wanna check out the brewery?” Dan beckoned me behind the bar. Following him into a back room I was met with the sight of Boatyard’s barrel system. I was introduced to Brian Steele, Boatyard Brewing Company’s other co-founder and head brewer. Hefting a keg from across the room he put the heavy steel drum down to greet me. “We wanted something easy, low key, family friendly.” Dan exclaimed, when I asked him about the origins of the brewery’s name. “People always just associate Michigan with the Great Lakes, they don’t realize that there are tens of thousands of other lakes inland. Michiganders spend much more time on the water than people think.” he laughed. “Try this.” Dan said, placing a taster glass down in front of me. “We call it Scottish Ice, part of our Eisbier series.” He gestured that I try their creation, “It packs a punch.” he said with a chuckle as I raised the glass. Eisbier or Eisboch is a developed German brewing method wherein the beer is brought to just below freezing. Frozen water crystals are then skimmed from the top and removed. Without as much water dilution the beer is left with concentrated aromas and flavors as well as a whopping alcohol content. At 17.8% ABV Scottish Ice was no exception. 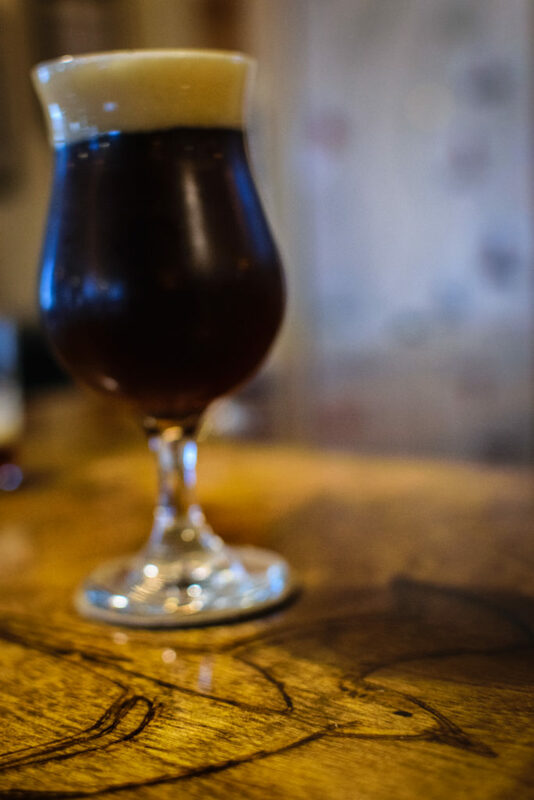 With all the hearty, rich flavor of a deep Scottish ale, Scottish Ice packed an extra kick of flavor and bite thanks to the Eisbier brewing process. Kalamazoo has been inundated with breweries in recent years. The craft beer industry taking off and new establishments popping up regularly around town. 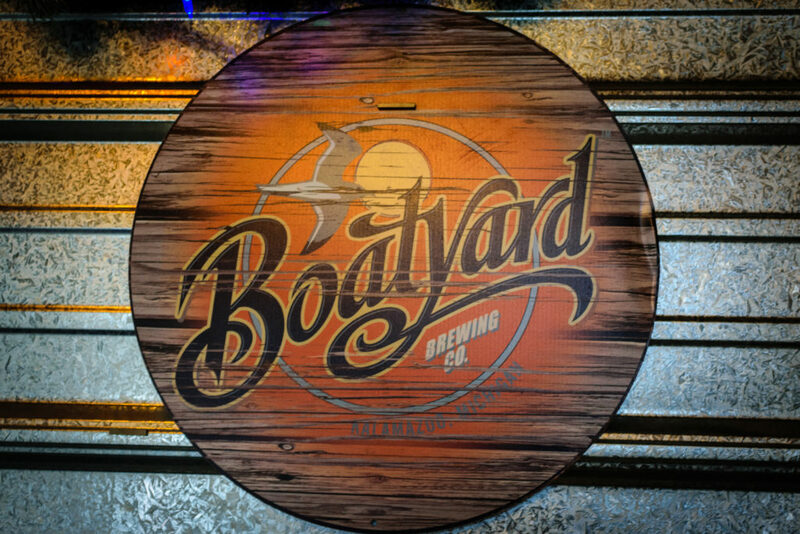 With its homey atmosphere, artful and passionate brewing methods, and friendly Michigander faces like Dan’s and Brian’s that next time I am Michigan bound, Boatyard is one brewery I know I’ll go back to.